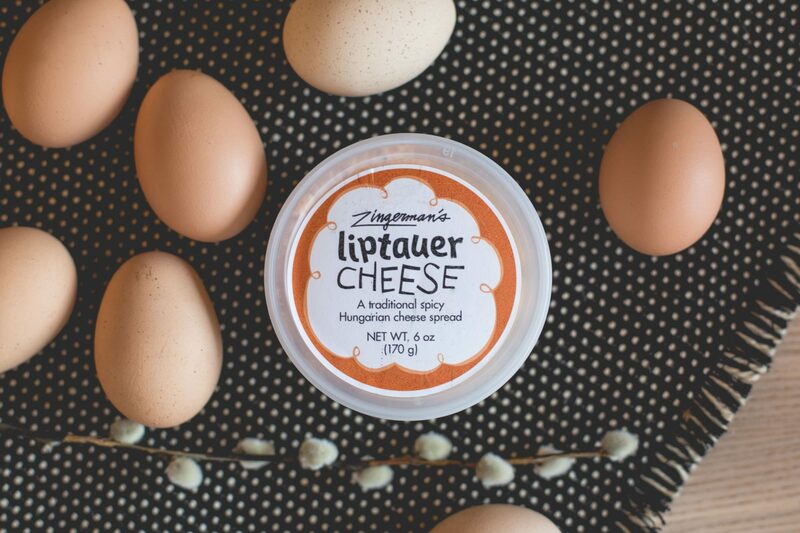 Add our Liptauer cheese for a little something special. 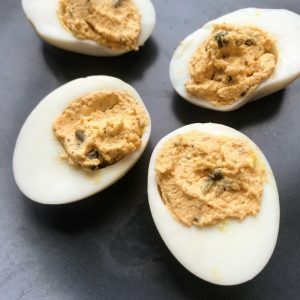 It’s robust, savory flavor adds an extra notch to any traditional deviled eggs recipe! 1. Hard boil 1 dozen eggs for approximately 10–15 minutes. Drain out all of the hot water and then run cold water over the eggs. 2. Let the eggs stay in the cool water for a few minutes until cold. 3. Peel all of the eggs. 4. Carefully slice them in half and remove the yolks. 5. Place the cooked yolks into a mixing bowl and add the Liptauer, mayo, and onion. 6. Mix the combination together—whip using an electric mixer or a whisk. 8. Pipe or spoon the mixture into the halved eggs. 9. Garnish the tops with a sprinkle of paprika or an (optional) anchovy.